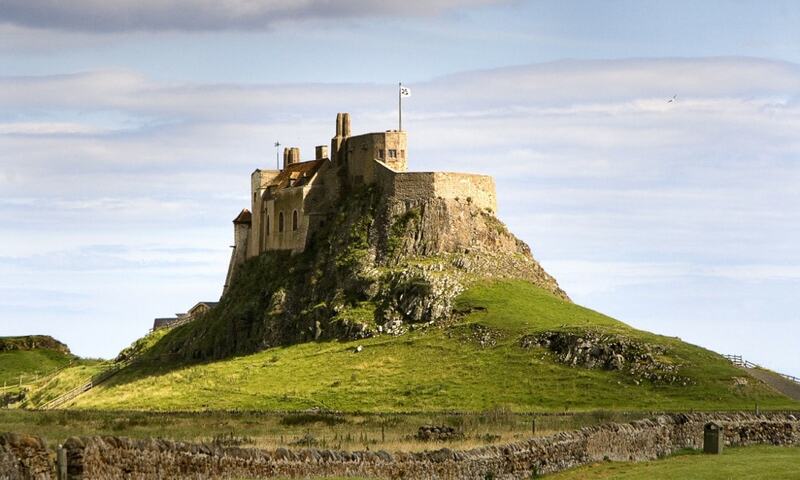 Lindisfarne Castle is a 16th-century castle located on Holy Island, near Berwick-upon-Tweed, Northumberland; the castle was much altered by Sir Edwin Lutyens in 1901. The island is accessible from the mainland at low tide by means of a causeway. The castle is located in what was once the very volatile border area between England and Scotland. Not only did the English and Scots fight, but the area was frequently attacked by Vikings. The castle, garden and nearby lime kilns have been in the care of the National Trust since 1944 and are open to visitors.